Be the first to share your favorite memory, photo or story of Montie. This memorial page is dedicated for family, friends and future generations to celebrate the life of their loved one. He was preceded in death by Reba Boerstler in 2013, his wife of almost 72 years and daughter Billie Kay, in 1948 . He is survived by two children, son Harold Boerstler and his wife Beverly Boerstler, of Duncan, Oklahoma; daughter Janice Wood, currently living in Duncan, Oklahoma; He is also survived by four grandchildren: Leah Williams of Amarillo, Texas; Christie Boerstler of Odessa, Texas; Dawn Albertson of Longview, Texas; and Dean Wood also of Longview, Texas; thirteen great grandchildren and one great-great grandchild. Montie grew up in Jenks, Oklahoma, where at around the age of 9, got a job as a caddy, at Tulsaâ€™s Southern Hills Golf Course; Attended school in Jenks, Oklahoma; joined the U.S. Army on January 10th, 1940, thru December 1st, 1965, rising from Private to Major and Company Commander of the 95th Division Army Reserve Unit in Duncan, Oklahoma, and served proudly until his death. During his military career, Montie was awarded the Silver Star for gallantry in action; Purple Heart for a wound incurred in Northern France; Two Bronze Star for meritorious achievement against enemies of the United States of America; the French Croix de guerre medal, for gallantry against the enemies of France during World War Two. Montie retired with 31 years of service as a pumper, with Amoco Production Company, in 1983. Although Montie led a full life in the military and in the oil/gas industry, he was a devoted husband, father, grandfather, great-grandfather and great-great grandfather. Montie was a philanthropist, in that when a friend and/or relative, needed help, Montie would secretly help however that he could. 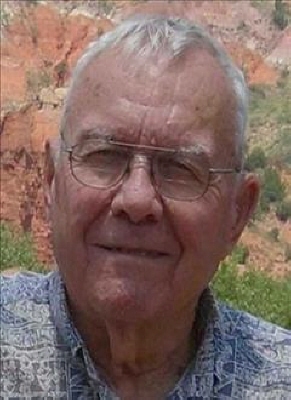 Montie attended the Immanuel Baptist Church, as often as he could, until a stroke slowed him down in March of 2018. To send flowers or a remembrance gift to the family of Montie Harold Boerstler, please visit our Tribute Store. "Email Address" would like to share the life celebration of Montie Harold Boerstler. Click on the "link" to go to share a favorite memory or leave a condolence message for the family.